Queen’s Day is the biggest national holiday in the Netherlands. 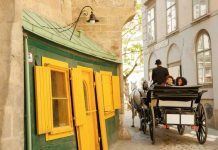 Celebrated each April 30, it’s a day filled with parties, celebrations and festivities. Everyone — and everything — is covered in orange. Orange is a tribute to the royal family, or the “House of Orange-Nassua. Amsterdam is party central, with concerts, fairs and flea markets. This year, however, Queen’s Day will also celebrate a king — the new king of the Netherlands. Queen Beatrix, who has been the Queen of the Netherlands for 33 years, hands over the throne to her son, Prince Willem-Alexander. 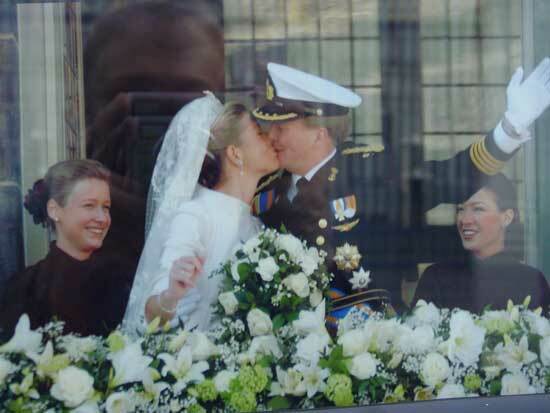 Prince Willem-Alexander and Princess Máxima on their wedding day in February 2002. Photo by Netherlands Board of Tourism. The Prince of Orange was born on April 27, 1967 and is married to Princess Máxima, who was born in Argentina. They have three daughters, Princess Catharina-Amalia, Princess Alexia and Princess Ariane. Age 75, Queen Beatrix chose to abdicate because she believes that the country should be led by a new generation. “I have always considered it as an extraordinary privilege to be able to put a big part of my life at the service of our country and in accordance with my task to add substance to my kingship,” Beatrix said in her January announcement. 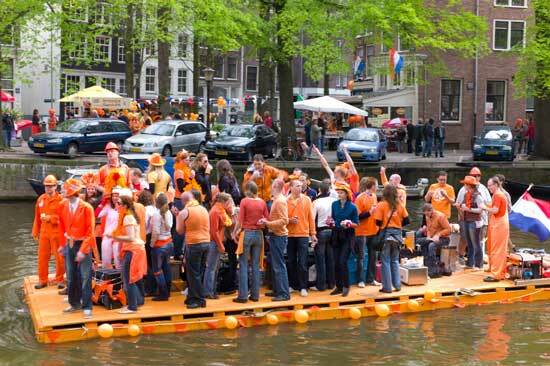 Queen’s Day is filled with fun events and festivities. Next year, it will become King’s Day on April 27. Photo by Netherlands Board of Tourism. Holland is a young monarchy. The Kingdom of the Netherlands was established in 1815, and King William I was its first ruler. Though the royal family is much beloved, they have limited power. The country’s real leadership and power lies with the ministers. The annual Queen’s Day holiday, which was celebrated on April 30th, will now become King’s Day, celebrated on the new King’s birthday, April 27.